Prints for these negatives are found in file 2009.002.1107. Additional negatives are found in file 2009.002.2001. 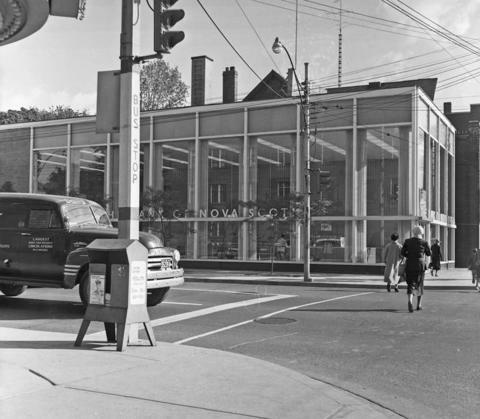 "Branch bank, Toronto." The Canadian Architect January 1958: 33-38.